Yuri didn’t spend too much time focusing on the adventurous and successful past, instead he channeled his passion and energy to encourage the crowd to stay forward thinking. “It’s been fun, fun times and now, Angular is ready for production so I have a question for all of you, What amazing things will you build with it?” he asked to a full house of Angular experts and enthusiasts. The Rangle team met several hundred techies from all over the world, gave away 100 pairs of socks (just in time for winter), and our baristas served 12 kilos of coffee! 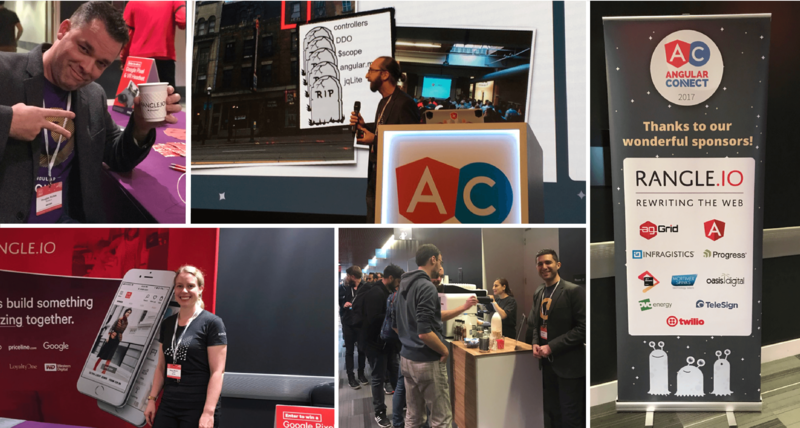 More importantly, our team of experts got to hear excitement around Augury, the most used developer tool extension for debugging Angular applications, and the many Angular projects other attendees are currently working on. Learn more about Angular through our blog.